Apple Pie Bites - Let the Baking Begin! Delicious Apple Pie Bites are mini pies with a warm cinnamon apple center. The best mini apple pie recipe, topped with caramel and ice cream! Perfect timing for Apple Recipes! As the air cools down and the leaves start turning yellow, you know it’s time to bake some Apple Pie and cozy up on a couch with your pumpkin spiced latte. Being 3 weeks away from my due date though, my energy span is all but about 30 minutes before I need to sit down and take a break. Whether you’re expecting, like me, or just plain busy, this apple recipe is for you. It takes no time to prepare and the result is pretty spectacular, if I may say so myself! The best apples to use in Pies or pastries are the ones that keep their shape and don’t become mushy when baked or cooked. 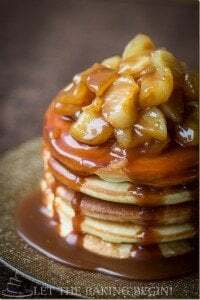 Being watchful about the amount of sugar or carbs for that matter, I used the SPLENDA® Naturals Stevia Sweetener to bring out the natural sweetness of the apples. This new sweetener is a no-calorie sweetener made with stevia extract which gets its sweetness from Reb D, an extract from the stevia leaf. For the SPLENDA® brand “natural” means that there are no added flavors or colors, no preservatives, and no GMO ingredients. This all sounds great to me! Can I use regular sugar instead of Splenda Sweetener? If watching your sugar, calorie or carb intake is not an issue for you, you can go ahead and use regular sugar and maybe even drizzle some caramel and top the whole thing with vanilla ice cream while you’re at it. As for me though, I will stick to the Apple Pie Bites as is, all natural’ as they say. Now go ahead and bake, my friends, and ENJOY! Peel, core and cut the apple in 4, then slice it into thin slices. In a bowl combine the apples, SPLENDA® Naturals Stevia Sweetener, ground cinnamon, flour, and vanilla extract. Unroll the pie dough on a floured surface, then with a 3-inch cutter cut out 12 circles. Place a teaspoon of the apple filling in the middle of each cutout circle. Pinch around the perimeter of the cutout pie pastry to create a star, encircling the filling inside. Whisk the egg. Using a pastry brush, brush the pie pastry. Bake in a preheated to 350 F oven for about 20 minutes or until the edges are golden in color, rotating the sheet halfway through. Let slightly cool and the Apple Pie bites are ready to eat. If you want to go over the top, use pre-made caramel and pour about 1/2 teaspoon over each pastry. Then top with a small scoop of ice cream on top for an unforgettable Apple Pie Bite. Enjoy! 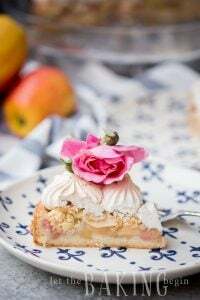 What is your favorite Apple Desserts? I love a good apple dessert! What is your favorite thing to make with apples? 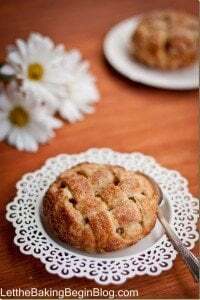 Quick Apple Cake – Another great apple desserts recipe. 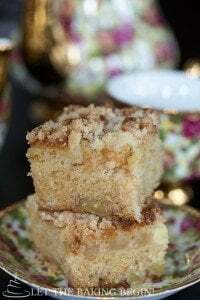 Apple Coffee Cake – Simple coffee cake with apple chunks! 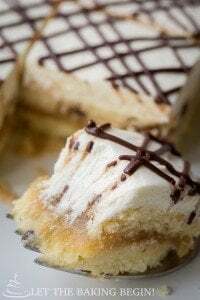 Apple and Dulce De Leche Pastries Recipe – Apples and a Dulce de Leche cream on pastry sheets. Delicious Apple Pie Bites, mini pies with a warm cinnamon apple center. The best mini apple pie recipe! Add 6 packets (or to taste) SPLENDA® Naturals Stevia Sweetener, 1/8 teaspoon ground cinnamon, 1 tablespoon of flour, and 1 teaspoon of vanilla extract. Stir to combine. Unroll the sheet of pie dough on a floured surface. With a 3 inch round cutter cut out 12 circles. Place a teaspoon of apple filling in the middle of each cutout circle. Now using the picture tutorial pinch the around the perimeter of the cutout pie pastry to create a star, encircling the filling inside. Whisk the egg. Using a pastry brush brush the pie pastry. Bake in a preheated to 350F oven for about 20 minutes or until the edges are golden in color, rotating the sheet halfway through. Marina, You are incredible!!!! Being in school, pregnant, children and schoolwork, yet you still find the time to blog and come up with these amazingly tasting recipes! You are truly an inspiration to me and a blessing!!!! Thank you for sharing with us your talents! Good luck in everything!